LaShea is a Colorado native and graduate of Mountain Range High School. She was MVP her senior year and has since gathered several years’ experience coaching in the RMR. 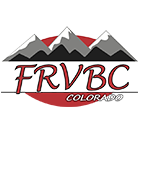 She is excited to return to FRVBC for the 2018-19 season!